A scrambler and alcohol were seized by police during patrols against anti-social behaviour in the Waterside over the weekend. 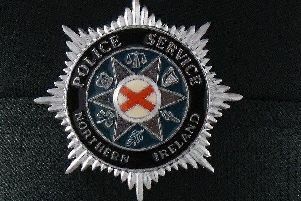 The PSNI said its officers were present in the Gobnascale, Caw/Nelson Drive, St. Columb's Park and Eglinton areas over the course of the last few days. "Waterside Neighbourhood Team have had a busy few days dealing with a number of issues that the community have raised to us recently," police said. "A number of speed checks were carried out around the Waterside and rural areas along with a number of patrols to deter crime and anti-social behaviour. During these patrols, a scrambler was seized from Top of the Hill and some alcohol was seized by police whilst on foot in St. Columb's Park. "This is just a snap shot of the work we continue to carry out. We do this because these are the issues that matter to you. Keep letting us know what matters to you and we’ll keep on doing what we can," said the PSNI.